Supports measuring acceleration and 6 rotational degrees of free motion. 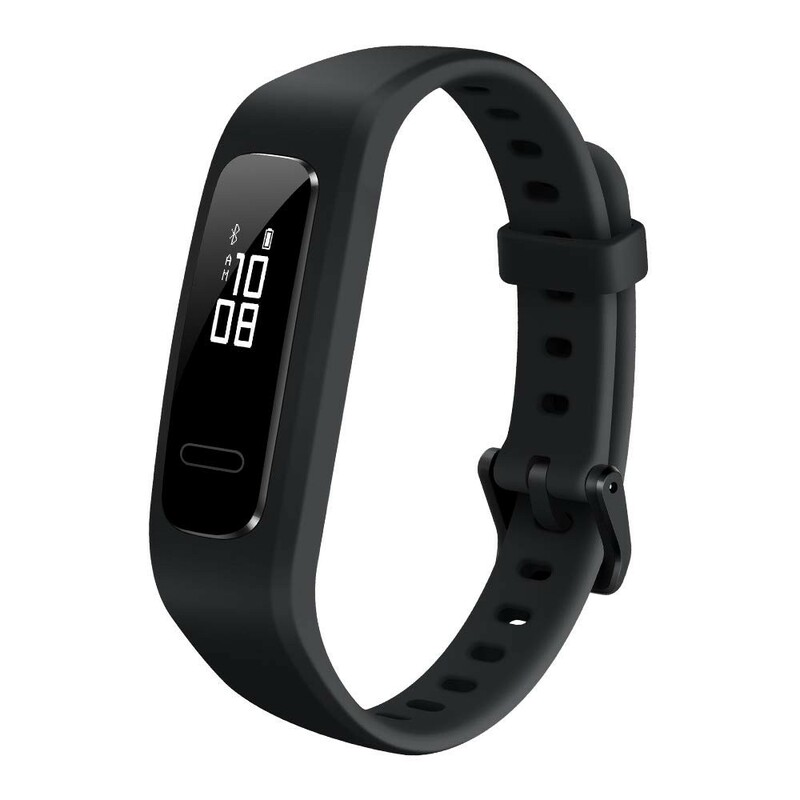 The HUAWEI Band 3e is a revolutionary breakthrough in sports bracelet wearables that uses a new Footwear Mode: an application that provides precise running data with the press of a button. Become a smarter runner with 7-data monitoring and analysing running form. Put forward the intelligent suggestions with precise data to help you develop better posture and make running more efficient. Live a healthier life with HUAWEI Band 3e. Take control of the crucial moment when your feet touch the ground. 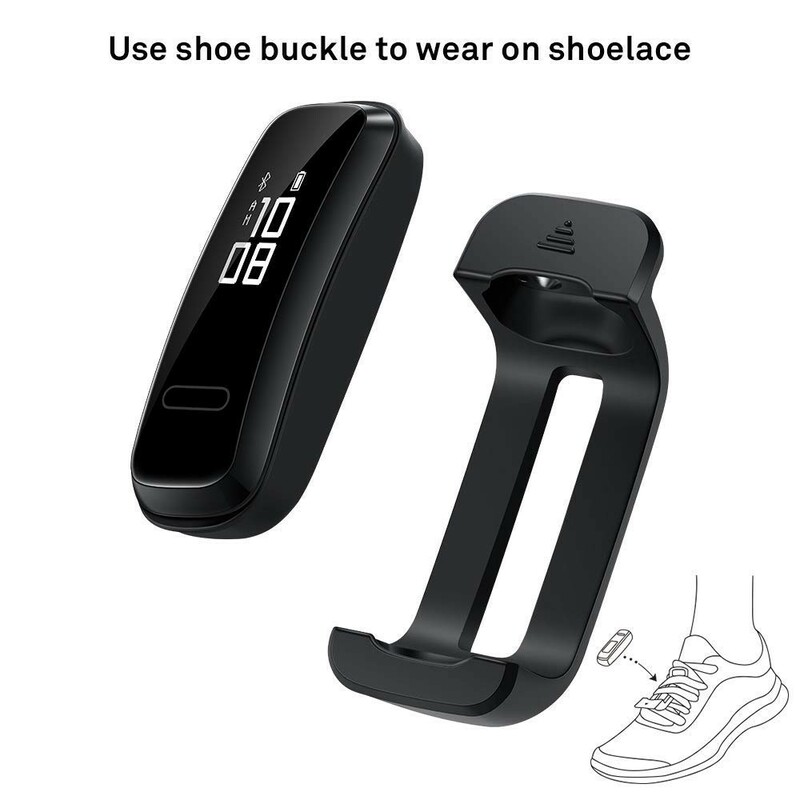 HUAWEI Band 3e will monitor your foot strike patterns and help you avoid heel-strike. * In cooperation with China’s Sports Science Research Institute of the State Sports General Administration. The HUAWEI Band 3e will provide treadmill running data at a 97%* accuracy using a built-in 6-Axis* Gyroscope based sensor in Footwear Mode. * The data is provided by Huawei laboratories. * Supports measuring acceleration and 6 rotational degrees of free motion. With 50m water-resistance, the HUAWEI Band 3e is designed for completing easy everyday tasks and swimming. The performance data that is captured can help you take a post-run dip in the water like a champion. HUAWEI Band 3e gives you newfound freedom. In standby mode, long-lasting battery life allows continuous duty operation for 14 days*. One charge supports up to 40 full hours under running mode, sustaining a continuous stream of alerts, alarms, calls and movement reminders. * Battery performance data is provided by Huawei labs after rigorous testing in a controlled environment. Actual performance may vary based on use case, environment, and user settings. Manage your life anytime and anywhere with a powerful suite of features: smart motion tracking, sleep monitoring and telephone-connected alerts. Locate your phone and get it to ring by using the Bluetooth HUAWEI Band 3e. Combine life and sports into a seamless motion with convenient access to intelligent data and feedback. The HUAWEI Band 3e is combined with only 17 grams lightweight construction and double-sided perforations for breathable air circulation. * Above data is provided by Huawei labs after rigorous testing in a controlled environment. Actual performance may vary based on use case, environment, and user settings. Standby mode: 21 days*Typical value. Actual capacity may vary slightly.